What Will They See Of Me? is the second iteration of the finely judged collaboration between venerable commissioning agency Film and Video Umbrella and the Jerwood Charitable Foundation. 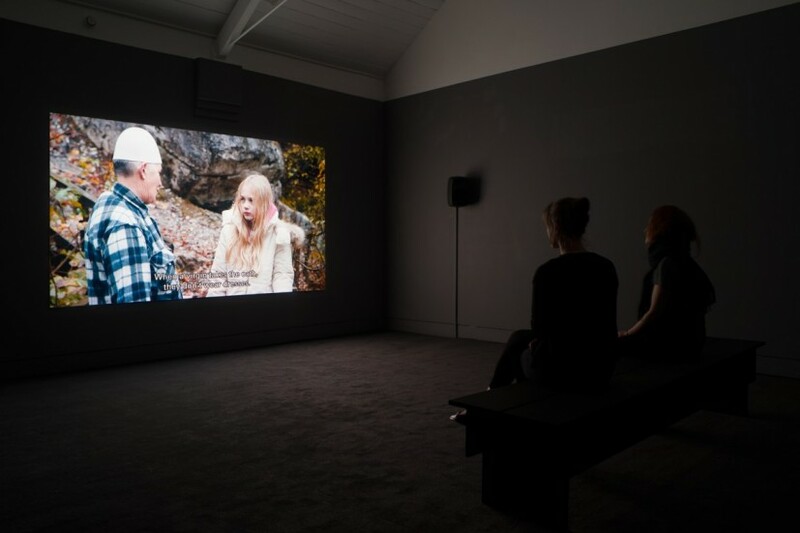 The first version of this commissioning and development award in 2012, Tomorrow Never Knows, featured Ed Atkins, Emma Hart, Naheed Raza and Corin Sworn. The thematic guidelines of the award make it very distinctive, and arguably more of its moment than some other awards: this year the award asks the artists to address the notion of posterity, and the way we will be seen by future generations. 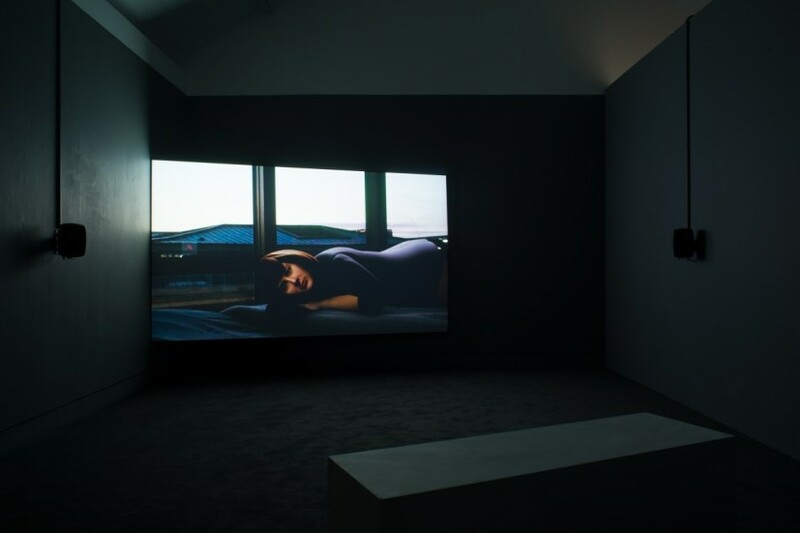 The installation at Jerwood Space is sleek and encourages visitors to watch each work in its entirety. Not necessarily a given with all exhibitions of moving image work. With only two artists featured, the exhibition is perhaps more digestible than others, and allows for serious consideration of the works, individually and in comparison to each other. Lucy Clout was born in Leeds and like so many, after completing her studies in London in 2009, has stayed on to work in the capital. She has contributed to group shows here and internationally, but this is a more high-profile platform for her rapidly evolving practice. Clout’s work, From Our Own Correspondent, employs a combination of digital animation and live footage that will be familiar as a strategy from the work of Ed Atkins, James Richards and Ben Rivers. In the animated sequences, a female figure sits impassively in a generic hotel room – by the glimpse of skyline with those characteristic water towers, we guess she is in New York. A fried egg periodically appears and slides down her leg to the floor, leaving no trace and occasioning no reaction. Her lips move out of sync with her monologue. However, rather than an archaeology of image-making, Clout’s focus is on spoken language, its embodiment and – here specifically – the new verbal archaeology being laid down every nanosecond in the proliferating clutter of the internet. Where the spoken word might once have been ephemeral, literally ‘throw-away’, everything now has a potentially perpetual afterlife online. Marianna Simnett graduated with an MA from the Slade in 2013. 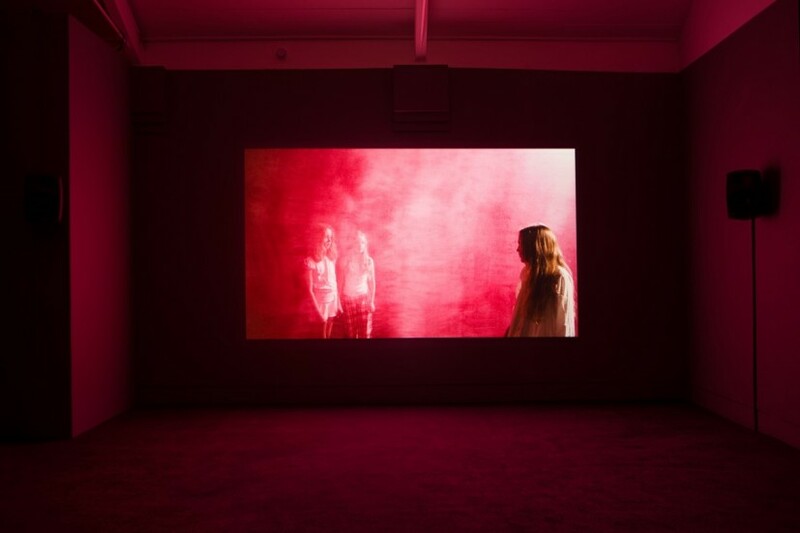 Her work has loosely focused on familial relationships, and in this new work called simply Blood, she once again works with non-actors, including three young girls, one of whom travelled with her to remote northern Albania to shoot. The seemingly untouched mountain location is utterly extraordinary, and more extraordinary is the narrative that features Lali, a ‘sworn virgin’ who according to ancient traditions in the region, from early childhood foreswore her female identity and lived as a man. The narrative weaves, with frankly surrealistic effects, between one of the girl’s encounters with the inhabitants of the Albanian hamlet, and grotesque dream-like sequences that appear to recall a minor nose surgery. Like last year’s film The Udder, Blood locates the developing identity of the young woman in the physical body. 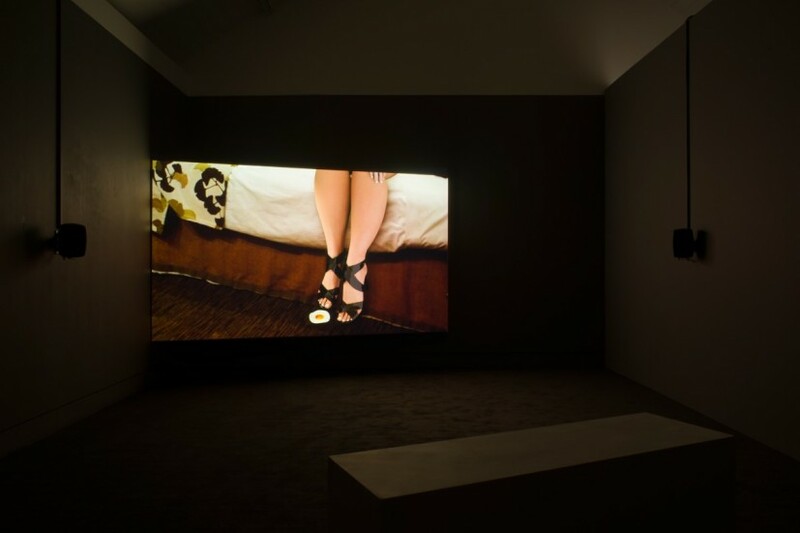 Simnett’s is a unique creative voice in addressing questions of female identity, as well as a remarkably intrepid practice in selecting a location so unexplored in contemporary art. Whether or not it is worthy of comment that both finalists this year are female, these are two very strong new voices in moving image: Clout and Simnett need to be on everyone’s radar.